The impeachment trial was so frightfully dull this afternoon there was probably more fun in watching a line of clothes dry under the sun. That was why I channel-hopped; and how I arrived at the live version of Pinoy Big Brother and eavesdropped on a fascinating story that housemate Biggel – real name Joseph Emil Biggel – was telling one of Kuya’s houseguests. I mean, something just does not connect about the meztizo good looks and the punto that totally redefines the word promdi. “Parang Batangueño…” the houseguest that Biggel was talking to described it. I had to go to the PBB web site to discover that the lad hails, in fact, from the island of Marinduque and has had a difficult life. That explained the punto and the promdi-ness. It was part of this life, in fact, that the lad was narrating to the houseguest. His parents left him with his lolo and lola, he told the houseguest; and both were not heard from since. Mahabang-mahabang istorya, he dramatically said. Once started, though, he could not stop telling his story. He told the houseguest that he only managed to finish high school because his grandparents did not have the means to send him to college. He did some farming and some fishing to help with the finances, he continued. But then, his grandmother got sick and had to take medication that they could not afford. This was how got himself a job initially as an embalmer and then later as a make-up artist in a funeraria. The way he narrated the story was both poignant and funny, the latter made even more so because of the expression of the houseguest as he listened utterly fascinated. “Dinuguan,” his lola would reply. Patay na! Who can eat dinuguan coming from an embalming? Albeit, Biggel told the houseguest that he eventually got used to the gore. “What was your most horrifying case?” the houseguest wanted to know. 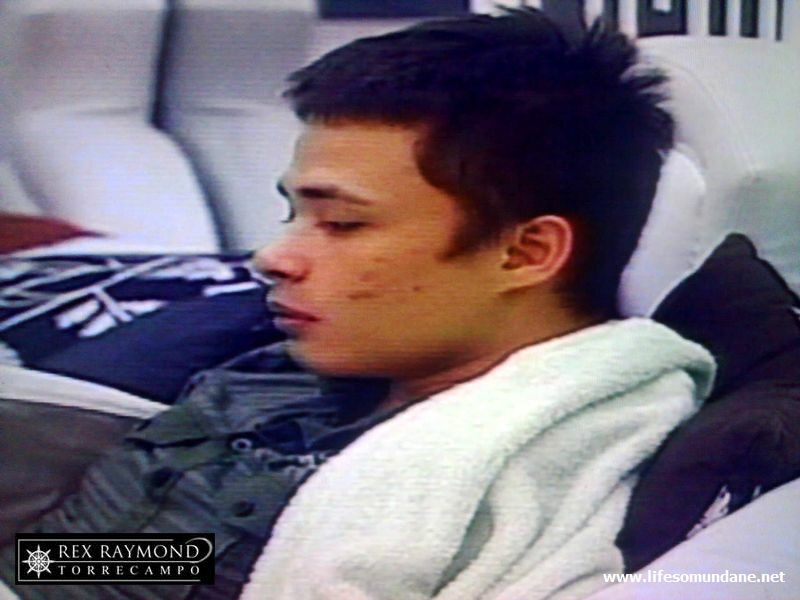 “Iyong isang sumabog ang utak!” Biggel replied without hesitation. They had to pick up parts of the accident victim’s head from all over the site. “How did you manage to keep yourself together?” the houseguest, looking just about ready to vomit, asked. “Walâ lang,” Biggel replied matter-of-factly. “Kunyarî naga-assemble na lang. In-enjoy ko na lang!” How, pray tell, can you enjoy something like that? This is me asking, by the way; although I can totally empathize with the young man. The next part of the story was the one which was both tragic and hilarious at the same time. I guffawed loudly although I could totally see where he was coming from. I laughed even harder. Oh well... The economics of death, no more! There was a truly poignant end to Biggel’s story, though. Apparently, he kept his funeraria job from his grandmother. When he came home and handed a 500-peso bill to her for her medications, she would be so pleased but naturally asked where he got the money from. Ah well... Not that I really care who wins this PBB thing, but I hope that lad Biggel gets something from it with which to build a better life. Everyone has a sad story to tell; but a sad story just always seems so much more tragic when it is somebody so young telling it.